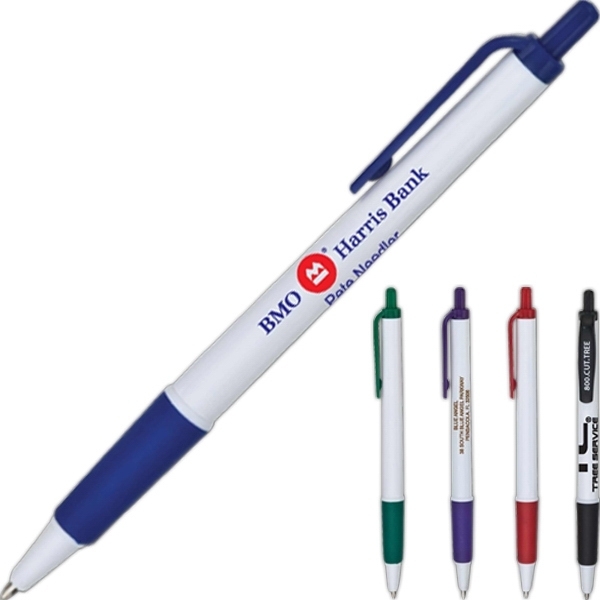 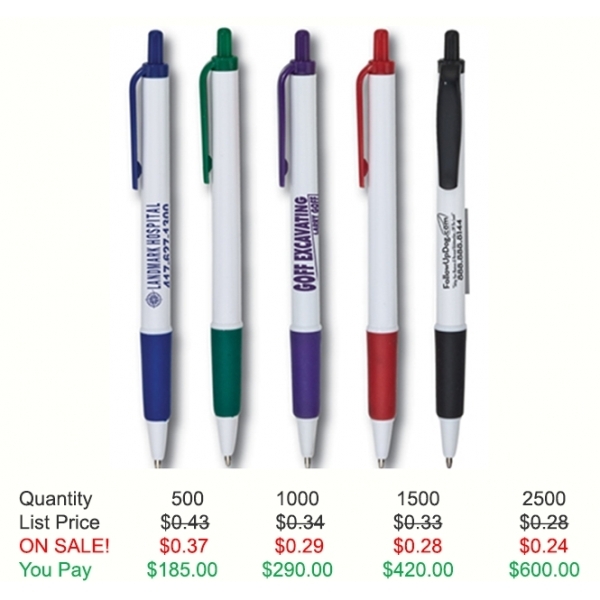 White barrel ballpoint pen with solid matching color trim, clip and grip. 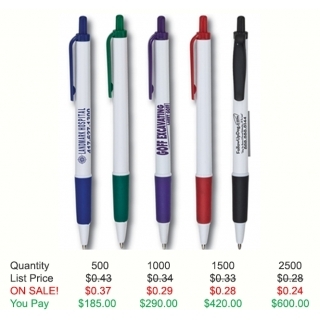 Same as other very popular styles but with the added rubber grip for your writing comfort. 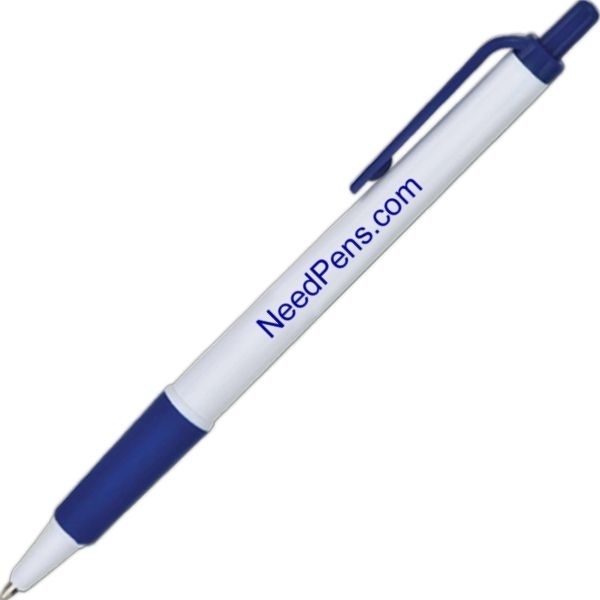 Medium point with black ink.